Yep, the beginning of Thea’s story is already taking shape. The fifth book set in the world of Fey now has five (very rough) chapters and it’s surprisingly different from Jack’s books. This month also marks the one year anniversary of the very beginning of Jack’s (and Thea’s) adventures. I still can’t believe how quickly this year has flown by and I’m really thankful for the reception the books have had so far. Thea is such a different character to write about. I now have a character that instantly understands all of the basic things about Fey, she’s a lot less surprised by magical creatures and events than Jack was and I’m really enjoying the fact that I can just let odd things happen and then drive the story forward. It was always fun to share Jack’s awe as a new world unfolded around him but there’s something really liberating about just taking that magic for granted now. The new book series will be released more slowly than the first as I now realise just how demanding it is to do all of the additional stuff required of a book. First there’s editing, then there’s talking about the books (because otherwise how would people hear about them), and alongside all of this I need to go over cover designs etc. with Karen but to be honest the bulk of the work there is on Karen (she knows her stuff so well, I barely need to go into any detail with her, she just gets it). Talking about the books is definitely the most fun of the two ‘non-writing’ jobs associated with writing, I’ve been for school visits, held an in-store book launch, joined in with an authors event to do a book talk at the Crieff arts festival, not to mention a steady stream of communication with readers through this blog and the social media profiles I set up for the books over on facebook and twitter. The big bad EDITING job is never a thrill and it’s this that has prompted me to spread out my book releases a little. I’d rather be able to spend more time chatting about the books and doing a wee bit of editing each week than be locked to the computer almost every day desperately trying to catch up with editing. At least for the foreseeable future I think we’ll be on about two book releases a year. I just don’t think I’ll be able to do four in one year again for a while. Speaking of editing the next two books are on their way but it is taking a while. Though it’s less work this time through (I’m definitely learning from my mistakes), it’s still work. 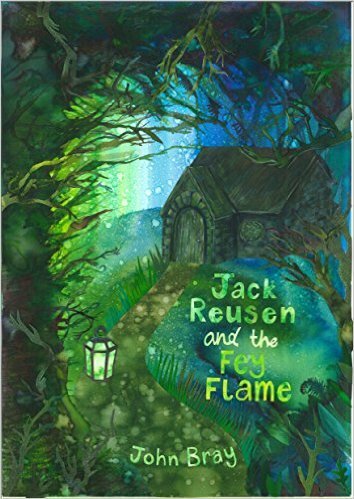 I’m going to try and get Jack Reusen and the Children of Fate’ away to the printers in the next couple of weeks (should be printed by the start of December) and ‘Jack Reusen and the Christmas Fox’ should arrive a week or so later (it’s a Christmas story so definitely want to get a rush on that). In the mean time I can share a wee bit about Thea’s Quest (though it probably won’t be out until next summer). In Thea’s first book we find that the polar-bear girl has discovered some pretty impressive powers (even more impressive than turning into a polar bear). She is struggling to understand them though and she’s having an even harder time learning to control them. Her quest will take her to parts of Fey she’s only ever heard of in stories and her journey will teach her a lot about herself and her friends. 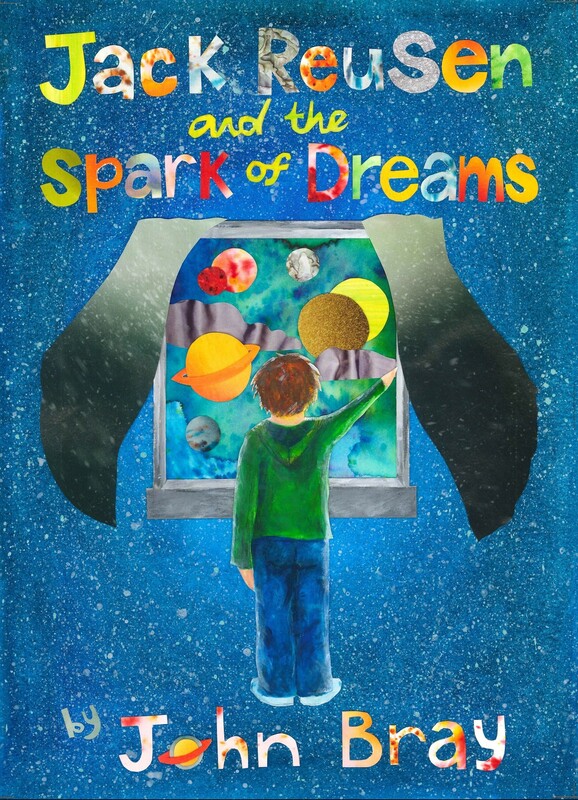 Where the Jack Reusen books introduced us to a strange other world, Thea’s books will take us on a voyage steeped in ancient magic and even older stories. This entry was posted in Book Progress, Inspiration, writing and tagged children's fantasy book, Children's fiction, crieff arts festival, fantasy, Fey, imagination, independent author, Jack Reusen, jack reusen and the children of fate, john bray, MG, MG fiction, nanowrimo, scotland, scottish, scottish author, strong female character, strong girl character, Thea's quest, writing on 7 November, 2015 by John the Toy Shop Guy.